FDA Approval (April 2018) of Crysvita® for the Treatment XLH – Dr. Thomas Carpenter, M.D. 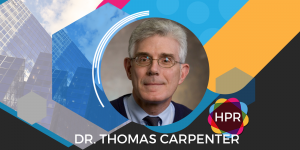 Dr. Thomas Carpenter, M.D., talks about the recent FDA approval (April 2018) of Crysvita® (burosumab-twza) for the treatment of X-Linked Hypophosphatemia (XLH), a rare skeletal disorder, and what that means to the XLH community and the daily struggles of patients living with XLH. Guest Bio: Dr. Carpenter has maintained a career-long involvement in metabolic bone diseases in children. He currently directs the Yale Center for X-linked Hypophosphatemia (XLH) and the Physiology Core of the Yale Core Center for Musculoskeletal Diseases. His research interests center on the pathophysiology and the development of therapy for XLH, the most common inherited form of rickets. He also has a major interest in the metabolism and function of vitamin D, and disorders related to vitamin D in children. He served as director of the Yale Pediatric Endocrinology Fellowship Training Program for over 20 years, and is Clinical Director of the Yale’s Pediatric Endocrinology Section. Neal Howard: Hello and welcome to the program. I’m your host Neal Howard here on Health Professional Radio, glad that you could join us. 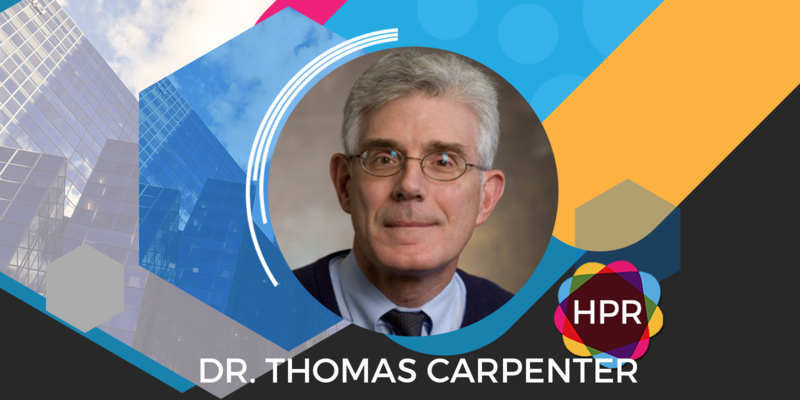 Our guest today is joining us in our series on XLH (X-linked Hypophosphatemia), Dr. Thomas Carpenter, he’s lead study investigator and director of Yale Center for XLH. Welcome to the program and thank you for taking the time Dr. Carpenter. Dr. Thomas Carpenter: Thank you, it’s a pleasure to be here. Neal: So as lead study investigator, give us a bit of background about yourself and jump right into this study about XLH. Dr. Carpenter: Yes. I’m a pediatric endocrinologist. I have been interested primarily in metabolic bone diseases in children for most of my career. I have seen quite a number of children, both as a medical student resident then a fellow in endocrinology and as a clinician and researcher throughout the bulk of my career and it’s been a particularly fascinating disorder, however, one that has created distinct challenges in terms of both coming up with a good therapy for the disorder and one that’s tolerated by patients. It’s a skeletal disorder in which progressive skeletal deformity of usually the lower extremities occurs because of the lack of availability of the mineral phosphate which is critical to bone mineralization. Calcium gets much of the play in terms of the minerals that are important for your bone but calcium actually has to combine with phosphate to make the hard mineral that is the critical structural component of a hard skeleton that we that our lives essentially depend on. And without the phosphate you as occurs in XLH, you have a progressively demineralizing skeleton. The bones can become somewhat soft, subject to bow deformities and a number of consequences over time develop from that phosphate deficiency. The primary problem in XLH is the kidneys have lost the capacity to hold on to the body’s phosphate and so all of the or a great deal of the body’s phosphate is excreted into the urine and it has to be replaced. And for years, we’ve been just sort of trying to compensate for that kidney loss of phosphorus by providing it in tablet form or pill form or sometimes awful tasting liquids that have to be given multiple times a day and frankly are often not tolerated at all by small children. Neal: For our listeners who may not be familiar with this disorder, it is a rare disease as you stated, about 3,000 pediatric patients are dealing with this. You are involved in pediatrics but just to be clear, this is something that affects adults and children as well. Is it diagnosed only in childhood? Dr Carpenter: This is an inheritable disorder so it can be diagnosed as early as about 2 or 3 months of age, perhaps even earlier. We tend to give children a little bit of time to get home before we would do these tests, newborn children. But the disorder never goes away so it is a disorder of impaired renal capacity to hold on to the phosphorus that lasts in a lifelong capacity. We see the rickets develop early but the kidney defect continues all through life and for many years, the attention to bone mineralization has sort of stopped after growth but in fact, adults continue to have a number of complications due to these continued losses in adulthood. One can sort of think of the disorder as something that is the accumulated defect or deformity that occurs with years and years of progressive lack of adequate phosphate and that can contain to progress through the adult years such that there are a number of adults that have significant symptoms with the disorder. Neal: So I heard you mention that often awful tasting solutions that have to be taken orally several times a day. Dr Carpenter: Yes. This is a revolutionary new treatment for this disorder and it introduces a new approach entirely to the way we’ve been doing this for the past 40 years. Ever since those early cases I saw many years ago as a medical student or a resident in which we used the therapy I described earlier of these awful tasting phosphate preparations, we’ve never really addressed the basic kidney defect, Crysvita® is a therapy that changes all of this. It is a way to inhibit the hormone that causes the kidney to lose the phosphate so all of a sudden or if you’ve been working with it, it’s not so all of a sudden. But as of two weeks ago, there’s an immediate change in what’s available to people with this disorder. And instead of the approach I’ve described, one injection of this material will, of this Crysvita® material, will prevent the phosphate wasting and eliminate the need to take any of these other medications and the shot in children has been worked out to be given on an every two week basis and in adults currently every four weeks. So this one injection can have an impact on the cause of the renal phosphate wasting such that this repetitive compensatory dosing of phosphorus throughout the day can stop and I think it will make a dramatic change in the outcomes long-term of both children and adults with the disorder. The reason I think that is because those little doses of phosphate that we can give through the day only transiently increase the phosphate and it really is entirely dependent upon someone being very meticulous about taking the dose all the time at the correct times and even then, the best response you can get is limited. You’re not fixing the kidney. In contrast, Crysvita® fixes the kidney and essentially brings the phosphorus levels into the normal range and so the skeleton can see a normal amount of phosphate in the body and start to heal and it never goes away and until about the time of the next injection so it’s a very nice way of addressing the basis of the disease rather than trying to just replace the losses that we have to live with if we can’t address the basis of the disease. Neal: Are these benefits immediate? Is there a transition period as the therapy with Crysvita® begins and the old therapy ends or is it immediate? As soon as the injections start, there is no need to take the other medicine? Dr Carpenter: It’s a fairly immediate effect. In fact. we would recommend that anyone taking this medicine not take their previously prescribed phosphate and activated vitamin D typically calcitriol here for a week or two prior to getting their first injection because loading the body as you fix the kidney could create a risk of making the phosphate level go too high and we want to avoid that. So our current paradigm is to let there be a rest period of a week or two prior to initiating the therapy and usually within just a few days of that first injection, the phosphate level is up into an impressive range and this persists for a couple of weeks so we believe that the bone effects may not be as immediate. You might need two or three injections before you start to see a somewhat an elimination of some of the symptomatology and really to heal the underlying defect in the bone may actually take months but that’s also true of what was going on with phosphate but the blood levels change very very fast. It just turns out that the skeleton has to see those high levels of phosphorus or normal levels of phosphorus for a long time before the skeleton can start to heal appropriately. Neal: Now where can we go online and get some more information about XLH, Crysvita® and Ultragenyx as well? Neal: Great. Well I thank you for coming in today, it’s been a pleasure talking with you Dr. Carpenter and I’m hoping you’ll come back and give us some more information in the future. Thanks for joining us today. Dr Carpenter: It’s a real pleasure, thank you.